How much is Christian Siriano Worth? 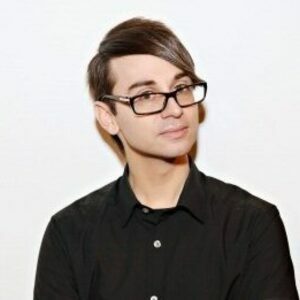 Christian Siriano Net Worth: Christian Siriano is an American fashion designer who has a net worth of $10 million dollars. Born in Annapolis, Maryland, in 1985, Christian Siriano studied at the Baltimore School of the Arts. He then enrolled at London's American InterContintenal University after being rejected by the Fashion Institute of Technology. He interned with various designers, including Alexander McQueen, before moving to New York City. Siriano took work as a wedding gown designer and make-up artist before auditioning for "Project Runway". He made it on to the fourth season of the show, winning the most challenges of any contestant before winning the crown and earning a new car, a $100,000 credit toward creating his own designs, and a spread in "Elle" magazine. Prior to the launch of his high-end line, he worked on several mass-market designs for companies such as Puma, Payless, and Victoria's Secret. He debuted his first line, Christian Siriano, in 2008 at New York Fashion Week. His clothes are now sold in retailers such as Neiman Marcus and Saks Fifth Avenue, raking in millions in revenue. He styles a handful of Hollywood celebrities, including Sarah Jessica Parker, Rihanna, Taylor Swift, Victoria Beckham, Lady Gaga, and Heidi Klum. In 2013, Siriano was chosen for the Council of Fashion Designers of America. Siriano is the costume designer for the animated movie "The Pirate Fairy", which starred Christina Hendricks, Tom Hiddleston, and Mae Whitman. The openly gay designer lives in Manhattan with his husband, musician Brad Walsh. The couple got married in 2016 after getting engaged in 2013.